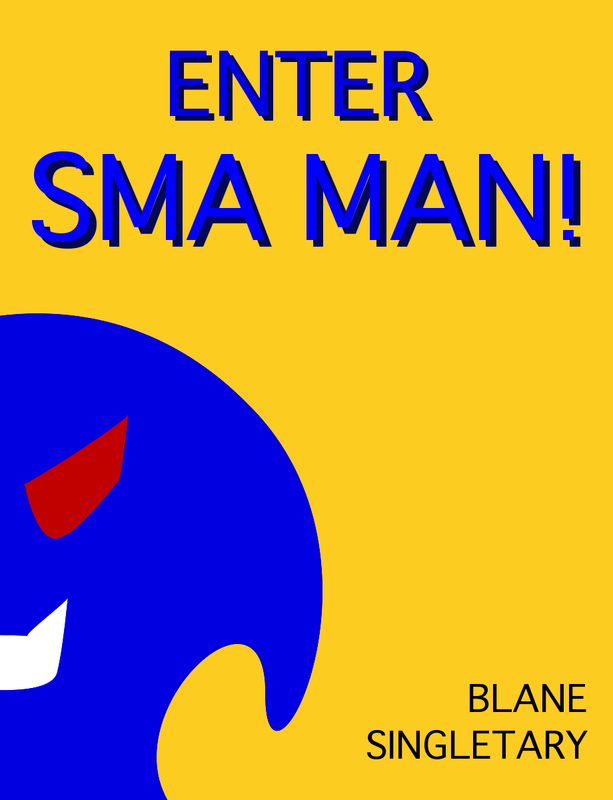 SmaMan | Sma Man's Rambling Expirations of his Unconscious! “Not for lack of trying,” said his assistant, Meline, powering down the machines. “Sure, we made some serious blunders, but think of how much we learned. “But they’re not alive,” said Dr. Ellis. “The whole point of these 7 months, the whole point of applying for all that grant money, was to prove once and for all that humans can, once and for all, create life. My hypothesis was flawless… but this…” Dr. Ellis began to silently sob. Dr. Ellis grabbed his coat and shut the door behind him. Meline, walking towards the glass casing, put the blob from the microscope back with the rest of oozing mass. The small blob seemed to coagulate with the rest of the pile, almost like a jigsaw puzzle completing itself. She stepped back and looked the whole thing over. It really did look fascinating. She could make out what seemed to be a spinal column and even a face. She looked deeper into the two holes that seemed to make up the eyes, with a slight glow coming from their base. The laboratory lights seemed to flicker for a split second. “Dr. Ellis?” Meline called out, “Is that you?” No one was there. She grabbed her bag and headed out the door into the January midnight air. “Sorry, I overslept a bit this morning,” said Meline hurriedly walking into the lobby of the McCracken Science Building. “Now that’s a scientific breakthrough,” said Meline. Meline was confused, but sat down, finally taking a deep breath after going nonstop since waking up to her alarm clock set 30 minutes later than it should’ve been. A moment or two later, Dr. Ellis walked back into the lobby, noticeably calmer than the way he had left. “Are you alright?” she asked. “Dr. Ellis? Meline Parris?” a board attendant popped in from the auditorium. “The board will see you now.” Dr. Ellis marched towards the attendant and enthusiastically shook her hand. “Don’t worry about it,” said Dr. Ellis with a smug smile across his face. “It’s all under control!” Something in his eyes seemed to tell her otherwise. Meline followed him and the attendant down the hallway, suddenly unsure of anything she had planned to say. Her mind went blank when she saw the board of six highly accomplished scientists talking amongst themselves. She had met some of them before, others she had only known by the names she had written in grant letters, but she knew they held her doctorate in her hands, and despite her fervent optimism, the reality of the situation had begun to catch up with her. She looked over at Dr. Ellis, whose face hadn’t changed since he had assured her everything was okay. Then she noticed the board was staring both of them down. She took her place behind the podium, adjusted the microphone, and opened her mouth to begin speaking. Dr. Ellis chuckled, “Typical scientifical method, of course! Hahaha!” The board laughed to themselves as Dr. Ellis waved his arms like a car salesman. “Were you successful?” one of the board members spoke up after the laughter had quieted down. “Well, no… not exactly,” said Meline. “Do you have any results you can show us?” the same board member spoke up again. Meline’s heart sank as she looked at the doctor, desperate for whatever ace in the hole he apparently had. “Of course!” said Dr. Ellis. “This meeting was called on such short notice so I don’t have any written data to show you, but why have that…” the doctor sprawled up onto the auditorium stage with the energy of a wild animal and stood in front of the panel’s table, “when you have me? !” The room fell silent for what seemed like hours. Meline felt her entire body blush and nearly fell to her knees. “Please… elaborate,” another board member spoke up. “Don’t listen to her!” Dr. Ellis yelled. “Earl Ellis is not here. I merely have taken on his image! And look how naturally and fluidly I can move!” He began to dance in an outlandish way, grabbing one of the female board members to dance with him. “Security!” she screamed. Two guards from the wings of the auditorium ran onstage and, despite displaying an uncanny agility for a man his age, eventually subdued the doctor, as Meline shrank behind her podium. Meline gathered her bags in the lobby, sobbing. She apologized profusely to the board members but knew it wouldn’t have made a difference. Her career in science was over, as well as Dr. Ellis’, who was being brought outside, still screaming incoherently, into to a police car. “Oh God. Sorry about that,” said a man walking up behind her. “Must’ve been that takeout we ordered last night.” Meline turned around and gasped. It was Dr. Ellis, whose face and hair was wet from splashing it in the restroom sink. “It’ll just have to do,” Milo sighed, pressing the buttons on his new, but not very improved camera. It has now been close to a fortnight since I’ve had a decent victim. Not the longest span of time since I’ve had a good drink, but still, longer than I would like. It’s gotten to the point that I’ve begun conserving my energy. And honestly, what’s the point of having a good night out anymore when you’ll surely be discovered and shared with the world in an instant? The only thing that I can even justify doing anymore is my journaling. I never thought I would fill this blank encyclopedia given to me centuries ago, (and don’t get me started on the ink situation) but here I am, the final few pages. And at this rate, I may not need to abscond with another book, which is neigh impossible these days. The bookmakers have all but gone. One of these days I’ll figure out a way to update this blog more than a few times a year. And that could very well be today, as through a series of sudden developments, I’m now living on my own Stillwater, OK. After 2 productive years I’ve left KTXS in Abilene and am now proudly working for the Oklahoma Department of Career and Technology Education, or CareerTech for short. And despite how hectic everything has been in the two weeks up to that point, I’ve never felt more at ease. 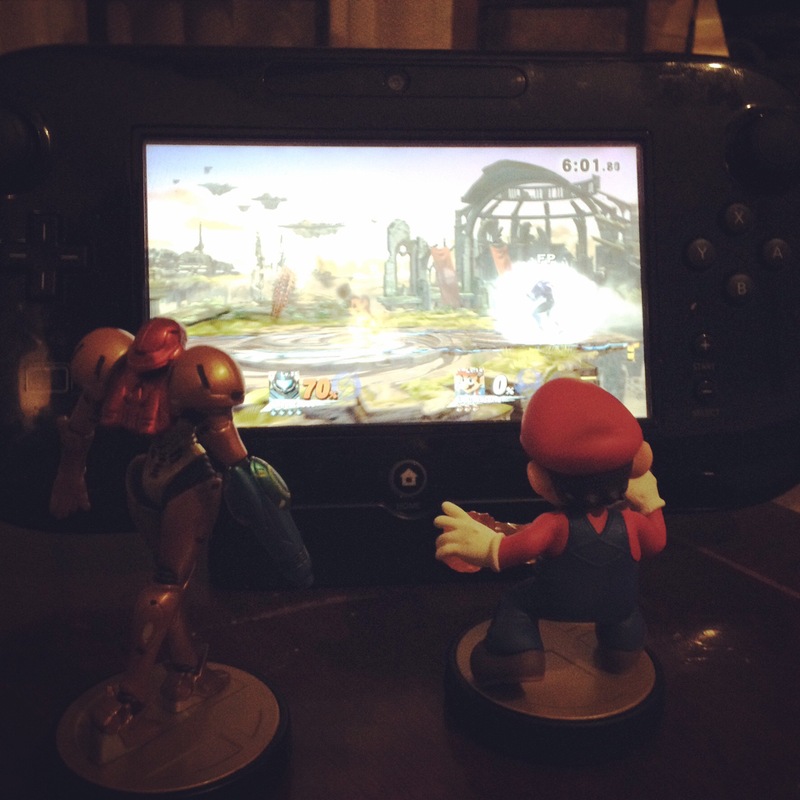 One of the things I’ve been catching up with since NaNo ended (and truth be told, lost a good amount of time to it during NaNo) is the new Super Smash Bros. that came out smack in the middle of last month. I can’t put the thing down. If this doesn’t at least win fighting game of the year by someone’s count, I’ll lose even more faith in the gaming press… somehow. But it seems to be gaining some pretty high honors, as most Nintendo games do. And part of that, I believe, is that it’s a game that truly appeals to everyone.